The fall season is upon us and you know what that means…you can look forward to seeing plenty of pumpkins! Not only are these showing up as decorations for the Halloween, they are in just about everything we eat and drink; pies ice cream…and the infamous pumpkin spice latte (#PSL). Whether you are looking forward to the great pumpkin invasion or not, you must admit, pumpkins are rather unique vegetables…or are they fruits?? Well, here are some fun facts that might clear up that question and give you some more cool info on these great, orange beasts. Pumpkins are Grown All Over the World: Pumpkins are one of the few vegetables that can be grown anywhere in the world (with the exception of Antarctica.) ... Veggie or Fruit? 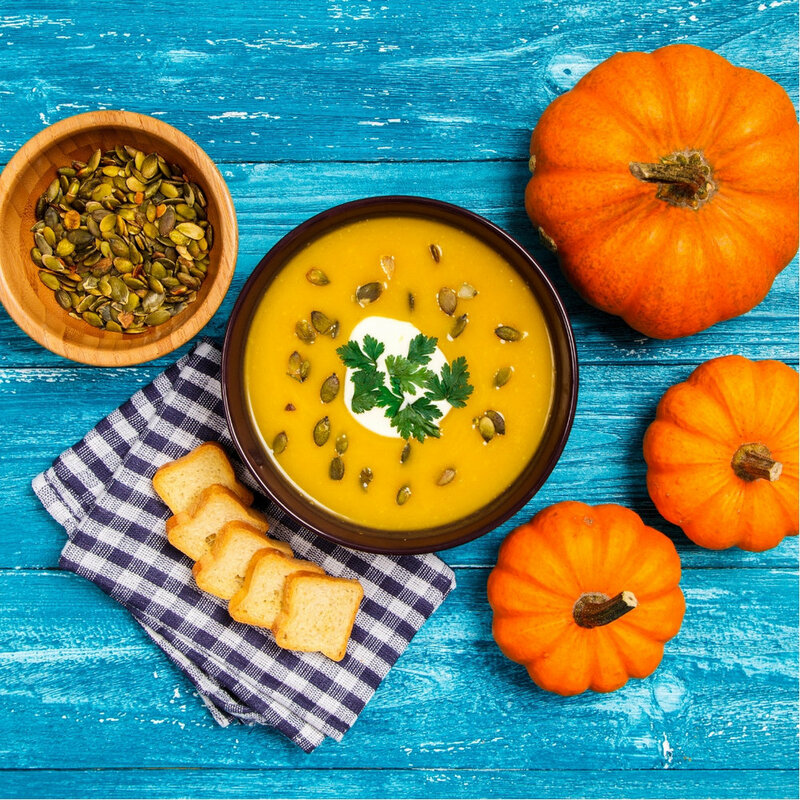 Pumpkins are actually members of the squash family which technically makes them vegetables. And believe it or not, they are in the same family as cucumbers. They’re Good for You! They are packed with vitamins and antioxidants. But did you know that pumpkins have almost as much potassium as bananas? Why Jack-o-Lanterns? 🎃 Pumpkins as jack-o-lanterns date back to the time of the Celts. As part of their fall celebrations, they would carve faces into the pumpkins and place a candle inside to light the way for good spirits to enter their homes. These are just some cool facts about pumpkins. If you are a fan, you can look forward to the coming season to learn more about these fun veggies. Here’s wishing you the best in the coming season!